MusicRow recently spoke with International Entertainment Buyers Association (IEBA) Executive Director Pam Matthews about the upcoming 43rd annual IEBA conference, which runs from Oct. 19-22 at the newly opened Omni Hotel in Nashville. The conference is expected to welcome approximately 800 attendees. Matthews’ 30+ year career in the music industry began while she was still in her teens. “I’ve always been a concert promoter at heart,” she says. She worked at Mid South Concerts in Memphis, Tenn., followed by assisting Louis Messina’s Pace Concerts in opening and managing Nashville’s Starwood Amphitheater. In 1988, she joined the Judds’ management company, rising to the rank of VP and Treasurer of Wynonna, Inc. and J2K, Inc. She transitioned to the role of General Manager at the Ryman Auditorium. During her tenure, the theatre received its National Historic Landmark status, its first Pollstar Theatre of the Year honor, Academy of Country Music Venue of the Year, and IEBA Venue of the Year. Matthews took on the role of Executive Director at IEBA in March 2013. 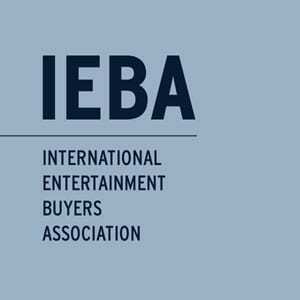 MR: The IEBA conference has a history of helping to “break” artists by putting them in front of influential promoters and entertainment buyers. Pam Matthews: There are so many, and it continues today. The first major act that broke after showcasing at IEBA was Barbara Mandrell in 1974. In 1989, both Garth Brooks and Vince Gill showcased at IEBA. Last year, it was Florida Georgia Line. They showcased last year, and now they are the biggest thing out there. The year before that, it was The Band Perry. MR: What is the state of the touring and live entertainment facet of the music industry now? PM: We are the one part of the industry that you can’t replicate. It is a wonderful place to be, because no one can steal it from you and no one can package it in a different way. You have to be there. The live thing is the thing. It’s the deal right now, so it’s the money-maker. The distribution, publishing and record distribution sectors have been scrambling to keep up for the past several years. We are lucky in that the only challenges we have are marketing and distribution. MR: We see more mid-level artists doing headlining tours now. How has that affected the touring industry? PM: We used to have seven headliners and now we have 22-23. There are 52 Saturdays in a year and you’ve got that many headliners, just arguably in the country, country-pop genre. Where are they going play? It’s a challenge when you look at the calendar. Throw out any dates past Thanksgiving, throw out Valentine’s Day and Memorial Day and Fourth of July. Managing the calendar, especially at the arena level, is an issue and it’s called traffic. That’s what we call it. There’s a lot of traffic issues for the big arenas and festivals. MR: Highlight some of the panels that will be featured during the IEBA conference. PM: Monday [Oct. 21] there are four different topics in the same time frame. If you are a corporate buyer, you’ll want to go to the Corporate 360 session. There is the Safety and Emergency Procedures panel; if you manage a building and are on the operations side of a venue, then those are huge questions that we need to discuss. If you are an agent or in management, there is a panel that focuses on taking an act from one level to the next. If you work at a larger venue or one of the major fairs and festivals, your topic is traffic. It is a lot to take in during a short amount of time, but that’s what a good conference does. You should be exhausted when you leave. There is so much pertinent information. MR: Talk about IEBA’s mentoring and educational efforts. PM: I think that people don’t realize how much mentoring and education is a part of IEBA. We do mixers in several cities across the country to mentor students. IEBA pays for certain internships for students who want to work at, for example, a major festival, in order to learn the business of live music entertainment. The organization also funds more than half a million in scholarships across the country. At Belmont University’s Curb School of Music, IEBA endows more scholarships than anyone, second only to Vince Gill. I think it always has been a passion from the very beginning. MR: What else can attendees look forward to at the IEBA conference this year? PM: Agents Alley. It is an IEBA tradition. The conference has had Agents Alley for 40+ years. Agents sit at tables with their artist avails and routing books, and people start making offers and booking dates. It’s unique to IEBA, and it’s old-school. The catch-phrase ‘The buying starts here’ comes from Agents Alley. The buying season starts with us. For more information IEBA, visit ieba.org.